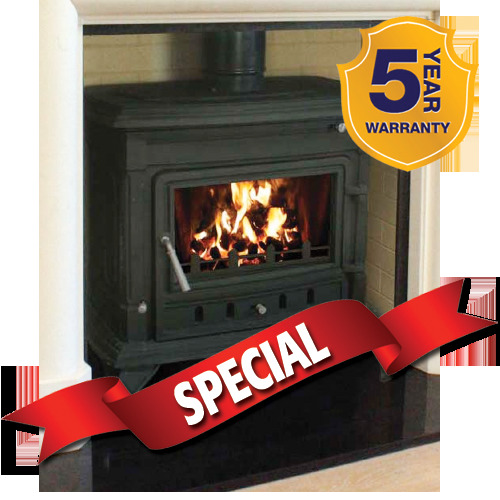 The Laune 16kW stove is a large stove delivering plenty of heat and piping hot water throughout your home. This traditional stove features crisp, clean lines and a minimal of decoration, and is the epiphany of understated elegance. Like all stoves in the Henley Collection, the Laune can burn all solid fuels and features Airwash and Cleanburn technologies.